Glaswyll Entertainment LLC – Fun First! Glaswyll is an indie game developer publishing on Android, iOS and PC, TV and mobile. Current title in development: The Tale of Greenbrier. Latest released title: Black Mountain Run. We strive to create fun, compelling games that bring enjoyment to as many people as we can. 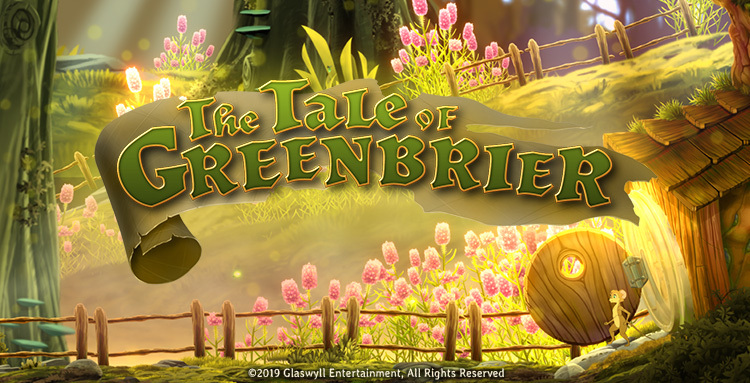 In this action platformer, follow the journey of Genevieve Goldenglow, a mouse who sets off on an adventure to save her village from destruction by an encroaching corruption. Set in a large continuous 2.5D fantasy world loosely based on the Ozark Mountain region of the United States, Genevieve will encounter twisted, deadly creatures, learn ancient knowledge to improve her abilities, solve puzzles that block the way, and fight monstrous bosses on her journey to heal the forest and save the village. Coming 2021 to PC/Mac/Linux via Steam. The Tale of Greenbrier is currently in pre-alpha development phase. Please follow us on Twitter, Discord and Twitch or subscribe to our email list to receive game updates.